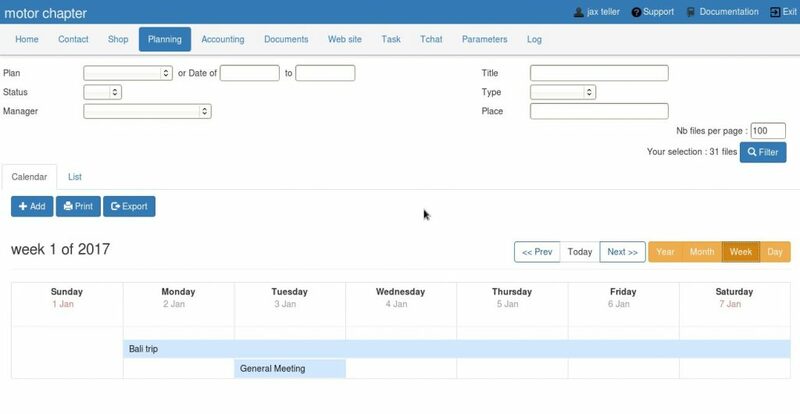 The backoffice of Kananas allows you to manage your activities. You can publish them on your website , manage enrollment and incomes/expenses. The members of your association can apply to participate online and also pay their registration fees online. 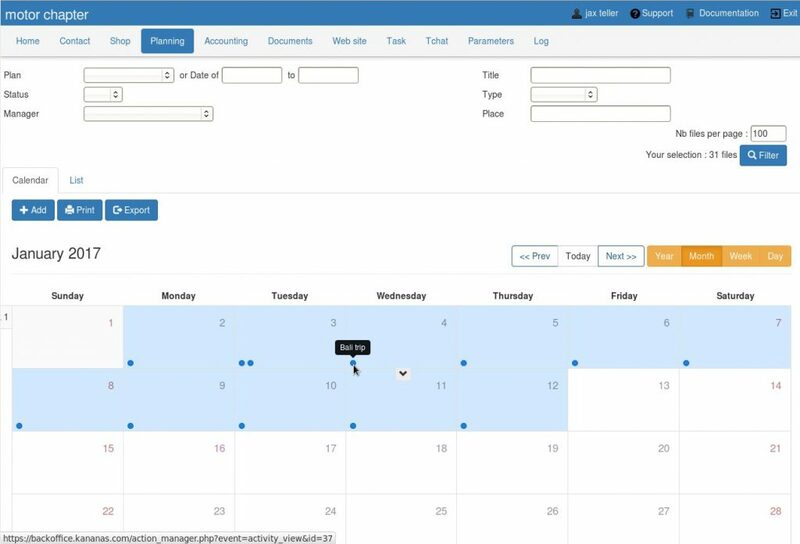 In addition to the planning of activities, you can manage your tasks with the Kanban board integrated in our software. To access the items in the category ” planning”, use the right menu .